1.) Reverse Dabbing, or Cold-Start Dabbing. Frankly, this method is slowly but surely becoming the preferred method for all dab-heads, not just those of us who don’t want huge hits, because a reverse dab preserves the concentrate’s flavor. Let me explain. Usually, when you take a dab, you heat the nail or banger with your torch before applying the dab. But with reverse dabbing (which works only with a banger), you put the dab into the banger while it’s cold (ergo, “reverse”). Then you hold the torch flame about an inch away from the bottom of your banger and slowly heat it until the dab starts to bubble before inhaling. It’s important to make sure your banger is clean before starting this process for the best results, but because of the gradual build to vaporization, you don’t miss out on any of the flavor, nor do you overheat the banger and cough your head off with a hit that’s too big. See what I mean? This is like sipping whiskey instead of shooting it. 2.) New School Hash Bowls. We tell our customers over and over that new-school dabs cannot be smoked in a pipe because the dab will liquify when you try to light it with your lighter and then pool in the bottom of your pipe, but with a little skill, this isn’t true. 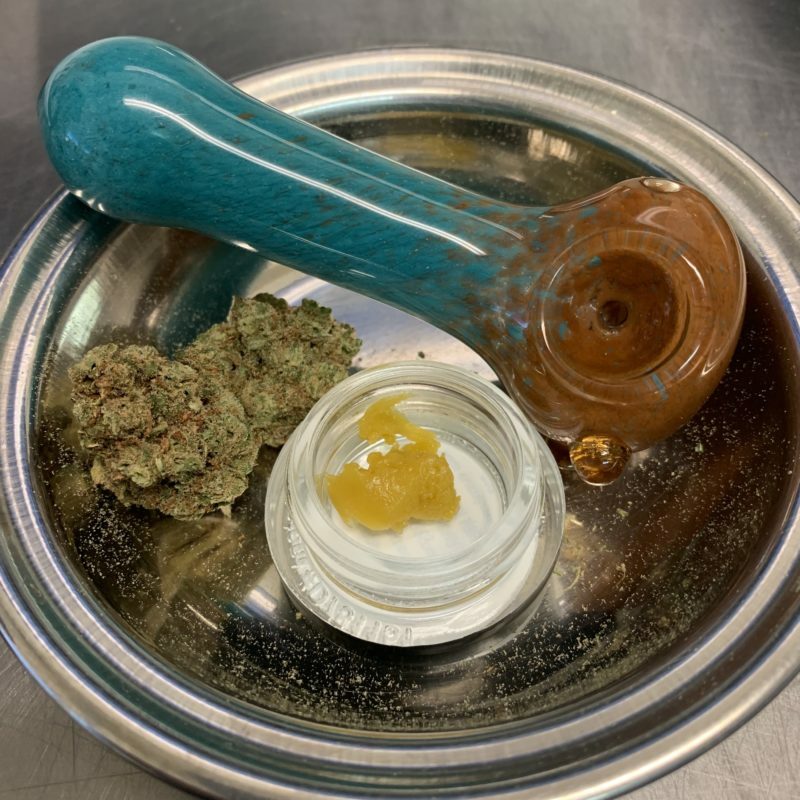 And for the record, the term “hash bowl” has been around forever (it’s when you mix old-school hash with flower and then smoke it in a pipe), but a new-school hash bowl brings together the best of both worlds, and if you do it right, this is one of my favorite ways to smoke dabs. Step one: grind some flower and fill your pipe halfway. Step two: put a small dab right in the middle of your pipe. Step three: put more flower on top of the dab until your pipe is full, and then press it down gently. Now here comes the important part: light the bowl and inhale until a cherry forms, and then stop using your lighter. The heat from the cherry will melt the dab, the liquid will infuse the remaining flower in your pipe, and then it’ll stay lit until your bowl is empty (it takes a little practice to do it just right). For real, if you haven’t tried this method, you need to—a new-school hash bowl gives you the complexity of a flower high and the potency of a new-school dab, which is simply awesome. There. Now you know everything I do about these two new dabbing methods. But the best part about either of these ways to dab is that they let you stick your feet in the pool before jumping in. Most people who haven’t dabbed before shy away from the idea because going from smoking flower to taking dabs is like going from zero to sixty instantly, but both reverse dabbing and new-school hash bowls let you gradually build to that insane high you can get from a dab instead of diving in with a full-blown dab hit. And the best part is that we sell everything you need for either of these methods right here in our Durango dispensary. So, if you’re over twenty-one with a valid I.D. and you’d like to try one of these new ways to dab, come see us at 208 Parker Avenue and we’ll get you set up, because We’re Your Best Buds!